One day, Susannah Cahalan woke up in a strange hospital room, strapped to her bed, under guard, and unable to move or speak. Her medical records—from a month-long hospital stay of which she had no memory—showed psychosis, violence, and dangerous instability. Yet, only weeks earlier she had been a healthy, ambitious twenty-four year old, six months into her first serious relationship and a sparkling career as a cub reporter. Susannah’s astonishing memoir chronicles the swift path of her illness and the lucky, last-minute intervention led by one of the few doctors capable of saving her life. As weeks ticked by and Susannah moved inexplicably from violence to catatonia, $1 million worth of blood tests and brain scans revealed nothing. The exhausted doctors were ready to commit her to the psychiatric ward, in effect condemning her to a lifetime of institutions, or death, until Dr. Souhel Najjar—nicknamed Dr. House—joined her team. He asked Susannah to draw one simple sketch, which became key to diagnosing her with a newly discovered autoimmune disease in which her body was attacking her brain, an illness now thought to be the cause of “demonic possessions” throughout history. 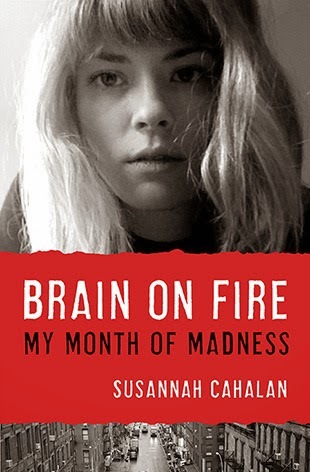 With sharp reporting drawn from hospital records, scientific research, and interviews with doctors and family, Brain on Fire is a crackling mystery and an unflinching, gripping personal story that marks the debut of an extraordinary writer. Very well-done. Calahan's experience as a journalist surely provided her with the means necessary to write exactly the kind of in-depth story I appreciate. She uses videos, notes her family took, and interviews with doctors and those who were present to reconstruct the story of her month of psychosis as completely as possible. 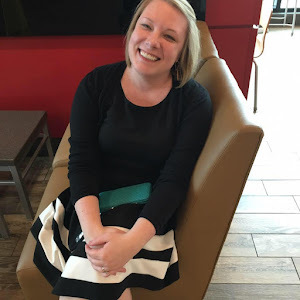 If you've read this blog before, you know I love a good reference, and I appreciated that in her memoir Cahalan took the time to share with the reader where her information came from. Again, I feel like the book greatly benefited from Cahalan's experience as a journalist. It reads easily and is straightforward, and tells a story that is so compelling you can't help but keep reading (or listening in my case). I think just the premise - that a healthy young woman could so suddenly be brought into the depths of mental illness by an infection - is fascinating, but the way Cahalan tells the story is also remarkable. She manages to connect to the reader on an emotional level while also maintaining the distance of a journalist, which I found remarkable. Very well done. I have no complaints and found the reader pleasant to listen to. This is great for fans of memoir, psychology, or medical mystery. It reads like a novel, and is improved for knowing that it's a true story. I highly recommend it. This is on my TBR list! Glad to hear that you enjoyed it. I borrowed this book forever ago, but haven't read it yet! Good to know you liked it. I'll have to pick it up soon! !